What you need to know about stretching your back. Wheel, bridge, chest stand, forearm stand, standing scale…what’s on your flexibility wish list? If any of these poses are #goals for you, you know you need to work on increasing the flexibility, strength, and stability of your back. But—don't stop there! You might be surprised to learn what else matters when you’re training for a more mobile spine. Hint: think beyond the back! Read on to get the details of a safe and effective approach towards greater back flexibility. When you’re working on your back flexibility it’s natural to want to go right to the source and start with exercises targeting the low, mid-, and upper back. But your body is a complex system, and any imbalances in the system can affect other parts. Is your back as tight as you think it is? Or are tight hip flexors and/or shoulders the culprits that are making it feel impossible to achieve your bridge pose? Lack of mobility in the upper back can often be pinned to shoulders that are tight due to shoulder joint or stability issues. The overdevelopment of your pecs, lats, or other muscles can also be a source of tightness and restriction. These restrictions can spark an overcompensation in your low back or mid-back, causing a lot of stress in these areas. Another issue can be tight hip flexors. If you aren’t able to reach full hip extension, this can again bring the stress of a stretch into your lower back. Opening the front side of your body through hip flexor stretches directly affects your goal to unlock greater back flexibility. The path forward? Think about flexibility from a whole-body perspective. Being mindful of training in a balanced, progressive way can help you develop equal mobility in your shoulders, back, and hips, which in turn helps you achieve poses that might at first seem like they are “all back.” It’s often an ‘Ah-ha!’ moment when you realize that improving your hip flexor mobility will help open your back, or that increasing your overhead shoulder mobility will help you find more comfort and stability in deeper backbends. Every StretchIt class is designed with the importance of a whole-body approach in mind. 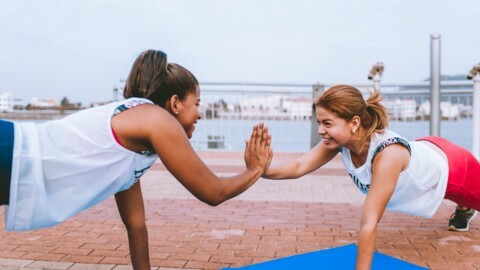 With Bendy Back classes, you’ll find yourself doing exercises that you may at first not realize connect to your back—but it’s all for a reason! Leg stretches, lat stretches, hip mobilization, and more will all help you achieve a more flexible back. You can join the 30-Day Backbending Challenge at any time for a structured program that brings all these exercises together for you. The Challenge will schedule classes for you to build mobility, strength, and balance in backbending poses. And if you're ready to commit to a longer full-body training schedule, we'd recommend joining the Platinum Flexibility Course. The Course is a balanced 3-month program to help you take your flexibility to the next level. Just like the Backbending Challenge, you can join the Platinum Flexibility Course at any time. The takeaway? When stretching your back, remember the flip side: your abs. And not just the six-pack abs, which can sometimes literally get in the way of your mobility (through overdevelopment in the frontal plane). Focus on the core muscles layered deep below, like the transverse abdominal muscles as previously mentioned, which protect and support your spine. When reaching for deeper backbends, turn your focus to your abdominal work, and visualize the action of ‘zipping up’ your body from your core. Avoid flaring the ribcage, and instead, contract your abs to pull them in towards your midline. 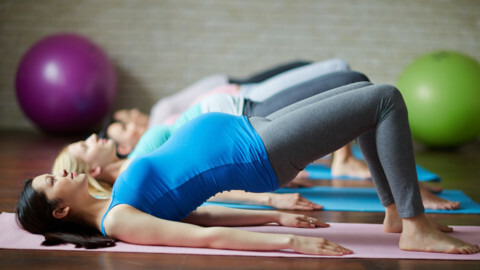 Even with the smallest backbend like a sphinx pose, pull your bellybutton in towards your spine and roll your shoulders down the back, lengthening your neck and staying connected through the core. Instead of thinking about achieving the smallest circle—pulling your foot to your head in a wheel, or inching your hands to your feet in a bridge—visualize your spine extending and lengthening. Before you go back…go UP! Get tall. Imagine someone pulling you by a string connected to your spine, reaching the crown of your head towards the clouds. Use your breath to keep yourself calm and to explore any discomfort you may be feeling. It’s common to sometimes be light-headed or feel a quick headache coming on after attempting a deep backbend. Try not to have a lot of caffeine before training your backbends (or a heavy meal, for that matter! ), and make sure that you are continuing to inhale and exhale rather than hold the breath tightly. You may not be able to take full, deep breaths in an advanced backbend, so in those instances, think about slow, shallow breaths that will keep the oxygen moving to your brain and to your body. Use the mantra ‘length and breath’ to work these two concepts at the same time. As you visualize yourself lengthening towards the sky, take a full, deep breath, and then slowly exhale, moving with control into your backbend of choice. If you’re experiencing chronic back pain, or ever feel a sharp, shooting pain that feels a lot more intense than just mild discomfort, talk to a trusted healthcare professional as soon as possible. By working with a physical therapist or movement specialist, you’ll get a thorough, hands-on assessment that can properly diagnose any issues you might have and prescribe a path towards healing, strengthening, and regaining your range of motion. Never force a pose just for Instagram or for ego’s sake ☺. We want you to be able to stay on this flexibility journey for a long time! So, be mindful of any injuries or structural issues that might call for professional help. This article gives you some tips for getting started on a successful journey towards a more flexible back. If you have any specific questions or want to share your progress with us, don’t hesitate to reach out!